THIS MEDIA RELEASE WAS DISTRIBUTED BY IMAS AND ANU ON 7 JANUARY 2016. 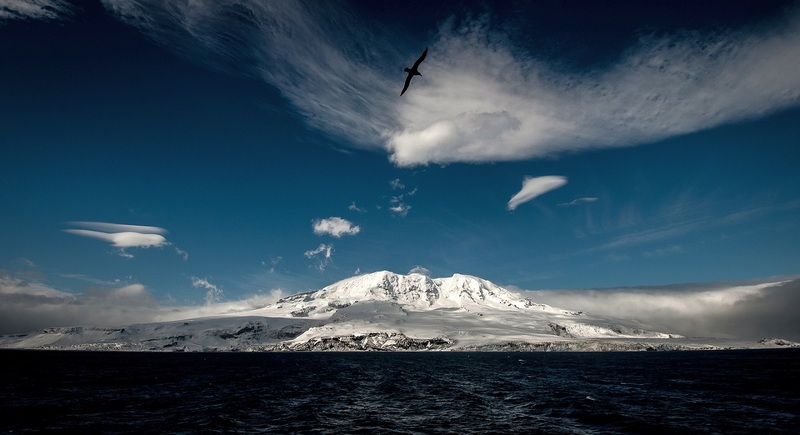 IMAS Professor Mike Coffin, a marine geophysicist and global expert on large igneous provinces including the Kerguelen Plateau, is Chief Scientist for the 58-day Southern Ocean voyage to the subantarctic Heard and McDonald Islands. The remote islands are situated 4,000 km south-west of Perth and 2,000 kilometres north of Australia’s base at Davis Station in Antarctica. “We suspect that hydrothermally mobilised iron is critical to the growth of phytoplankton blooms, the foundation of life in the Southern Ocean ecosystem,” Professor Coffin said. “Moreover, phytoplankton contribute at least half of the oxygen in Earth’s atmosphere. “This voyage, my sixth to the region since 1985, will allow us to map the seafloor on the Kerguelen Plateau systematically for the first time so we can identify active submarine volcanoes and the source of iron-enriched waters. Associate Professor Andrew Bowie, Co-Chief Scientist and a leading expert on ocean iron biogeochemistry, said the growth of phytoplankton is limited by the trace element iron in the Southern Ocean. Igneous petrologist and world-leading volcano expert, Professor Richard Arculus from the Australian National University (ANU), is a Co-Chief Scientist on the voyage. “Investigator’s specialised research capabilities will allow us to systematically map the submarine portion of the central Kerguelen Plateau and surrounding abyssal ocean floor, and unlock the secrets of this globally important volcanic system,” Professor Arculus said. Investigator’s capabilities will allow scientists to capture 3D images of the seafloor; tow a deep sea camera; deploy sensors; collect rock, sediment, and sea water samples to allow tracking of hydrothermal fluids from the seafloor to the ocean’s surface; and identify phytoplankton blooms. The research voyage led by Professor Mike Coffin will depart Fremantle on 8 January 2016 and will conclude on 5 March in Hobart, with 26 scientists and students from IMAS, the Antarctic Climate and Ecosystems CRC, the University of Tasmania, ANU, CSIRO, the University of New South Wales, the Pierre and Marine Curie University/CNRS’s (France) Microbial Oceanography Laboratory (LOMIC), the University of Western Brittany’s (France) European Institute for Marine Studies (IUEM), and the Scripps Institution of Oceanography, University of California, San Diego. This Project is supported through funding from the Australian Government’s Australian Research Council and Australian Antarctic Science Grant Program. Two artists supported by the Australia Council for the Arts, a photographer, and a cinematographer on board will also join the voyage. It also will host several scientists and deploy equipment contributing to other significant research projects, including international programs GEOTRACES, SOCCOM, and Kerguelen Axis. RV Investigator is owned and operated by CSIRO on behalf of the nation and available to all scientists employed by an Australian research organisation and their international collaborators. Access is granted on the basis of proposals that are internationally peer reviewed, and independently assessed for science quality and contribution to the national interest. The $120 million ship was completed in 2014, and supports atmospheric, oceanographic, biological and geoscience research. However, released H2S has already been shown to promote underwater plant growth at volcanic seeps around eg PNG. Warmth would be useful too.